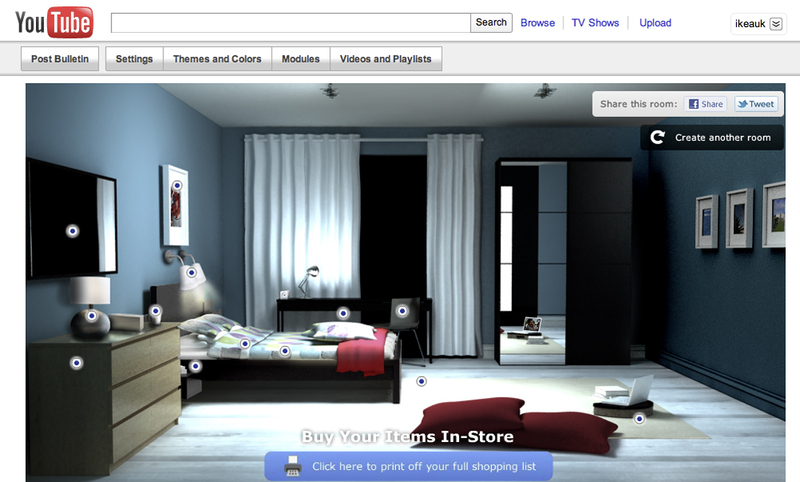 IKEA in the UK has launched an interactive social experience on YouTube. The above video is the ad to launch the overarching campaing around IKEA having everything to get you happy to bed, but the real fun is on their YouTube channel, where they’ve extended the idea with Facebook Connect. It starts with a room being built from comments on your wall, before flying you through a rendered 3D room incorporating your personal photos. While it voice overs a great little story, you have the option to click and add every item you see to a temporary shopping cart. With the YouTube experience turning into more of a social shopping experience by the end. Unfortunately, you can’t push your shopping list to the online store cart to buy, instead, you’ll have to click out item by item to buy online. Note: If you’ve got a screen recording of the experience, please post the YouTube link!